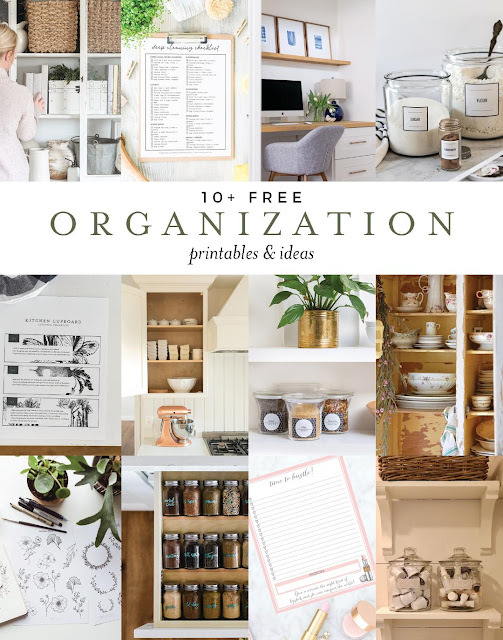 Today myself, and a few other creative bloggers have put together for you some free printables to help you get and stay organized. I myself happen to love labeling everything I can get my hands on. 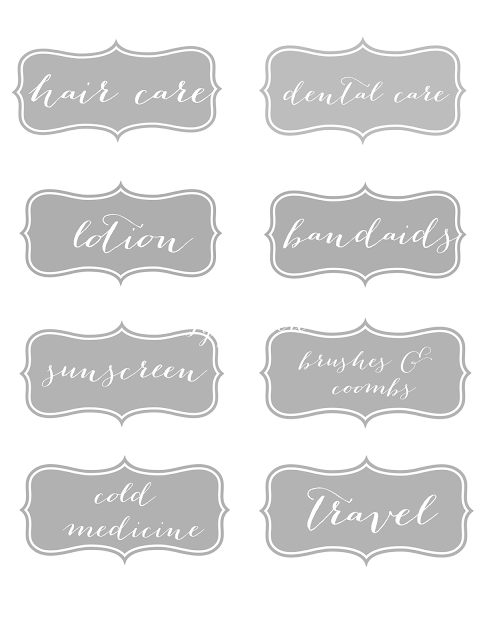 One of my favorite things to do is print out pretty labels on sticker paper, which you can find right here. Sticker paper can be used for a variety of things, but today we are making labels! 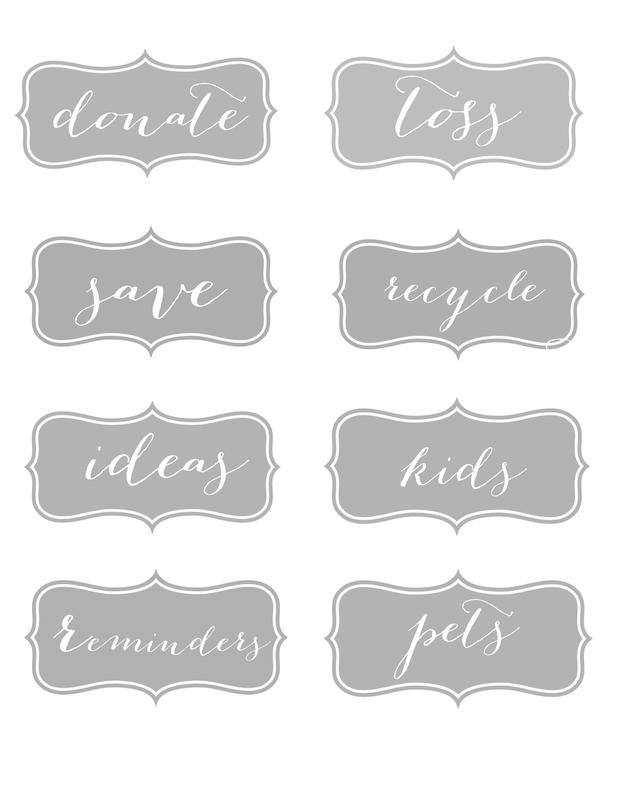 All you need to do is save the images below to your computer and then print them out. 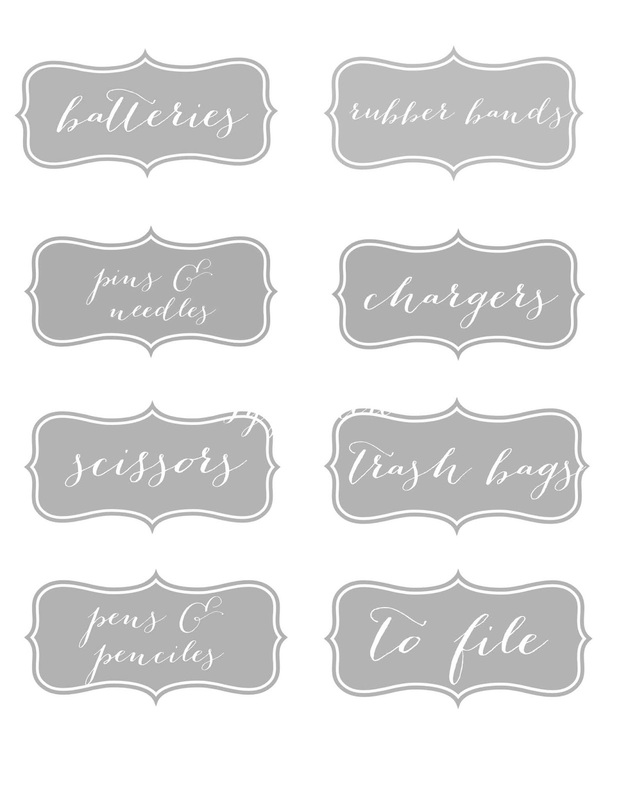 Cut out the ones you want to use and then simply peel off the backing and they are ready to use. 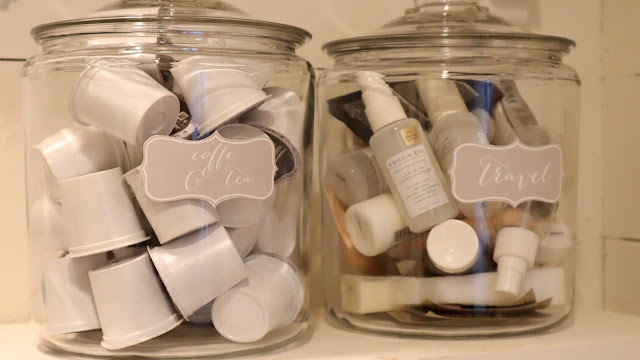 I made a wide variety and tried to cover most items I thought would need a label in your home. 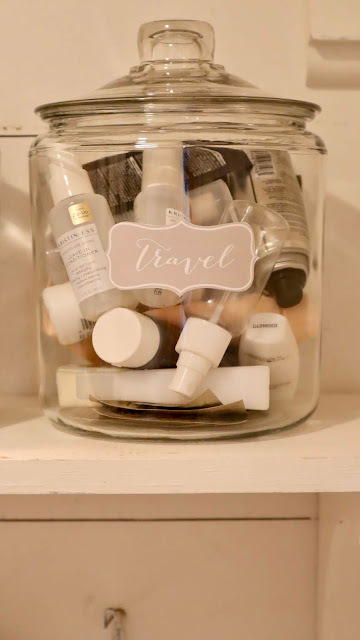 I used mine on these glass jars. I like being able to also see what is inside the containers, which is why I like the clear glass. 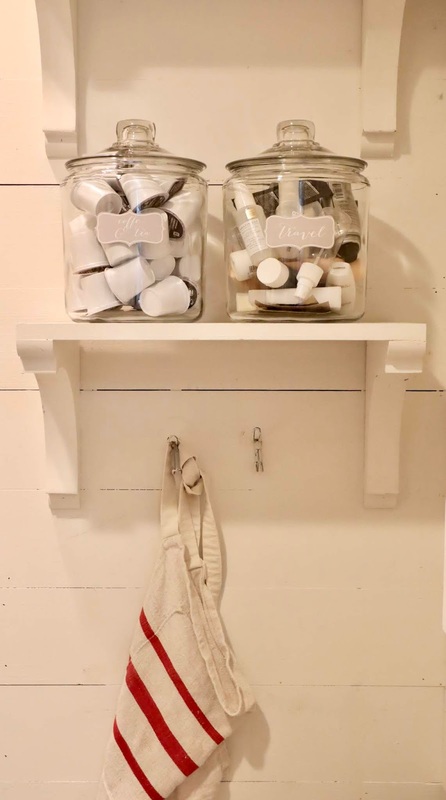 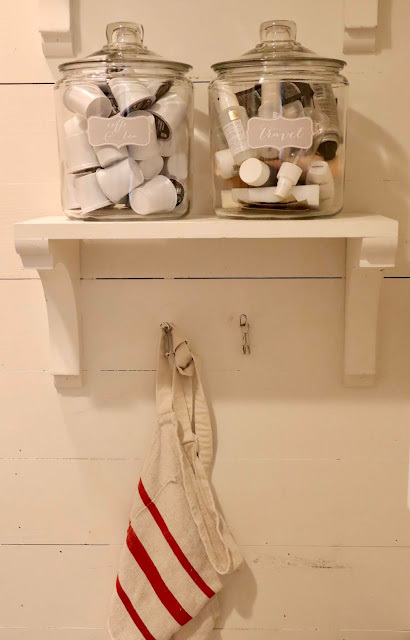 Here is an example of how I used mine to store extra items in our laundry room. If you are like me and love to organize, please visit my friends below to see more fun ideas.